Welcome to the November 16, 2018 edition of ACM TechNews, providing timely information for IT professionals three times a week. Disaster Relief Is Dangerously Broken. Can AI Fix It? The use of artificial intelligence in disaster relief is gaining favor as weather-related catastrophes grow in frequency and severity. For example, a startup founded by Stanford University's Ahmad Wani has launched a machine learning platform to help cities respond to floods with specialized maps that update in real time so emergency crews can determine where aid is most needed. Wani said a key challenge was enabling rapid, city-wide analysis of structural engineering to better predict damage. 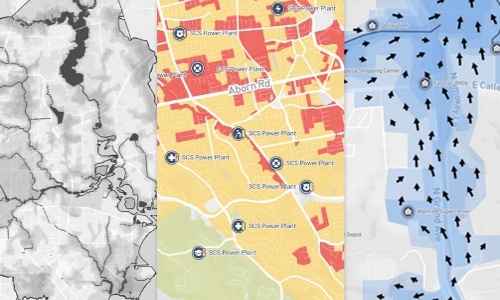 The Flood Concern risk map was based on an earlier algorithm that digests building construction and retrofitting data, integrated with information on building materials and surrounding soil properties, to predict earthquake damage. Flood Concern crunches vast data volumes based on water-flow physics, previous flood data, and satellite imagery to approximate water depth, direction, and speed and localize areas at most risk; demographic data is layered atop the prediction so emergency planners can anticipate areas with the most likely at-risk residents. 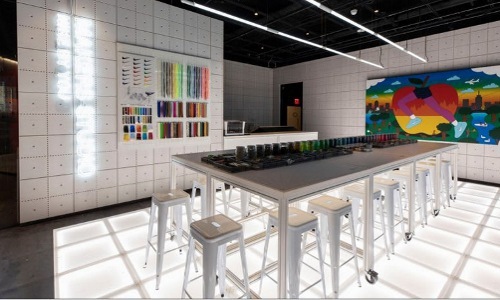 Nike has opened a new flagship store in New York City that focuses on personalized, experiential shopping as a model for similar stores worldwide. The venue is designed to work seamlessly with the Nike app, allowing shoppers to check out items via phone, request deliveries to dressing rooms, and schedule appointments with a stylist. Shoppers are automatically designated NikePlus members after downloading the app, entitling them to various perks; the app employs geo-fencing technology, becoming aware of when shoppers enter the store and instantly changing the home page to showcase new offers and content. Said Nike's Adam Sussman, "We want to create a seamless connection between the physical and digital experience." Both the phone integration and additional in-store benefits for members aim to improve the customer experience and generate data about customers and their preferences, which is fed into product design and inventory decisions. Christiana Care Health System has won the 2018 Magnet Prize from the American Nurses Credentialing Center (ANCC) for its use of virtual reality (VR) technology to improve patients' experience during chemotherapy. Christiana Care nurses use VR as a way for patients to immerse themselves in places outside the cancer center, with the goal of decreasing anxiety associated with receiving chemotherapy. The program involves connecting an Oculus Rift VR headset to a laptop computer that runs the software. Patients can choose from scenery that includes a winter forest, Bavarian Alps, Irish landscapes, a lush meadow, an Australian beach preserve, and the beaches of Cape May, NJ. A pilot study of the VR program showed 98% of the participants found the experience to be relaxing, and 64% said it reduced anxiety and boredom. Researchers at the University of Deusto in Spain have developed a Web tracker that exploits tiny variations in device hardware to monitor Internet users even if they delete their cookie files. The tracker measures subtle differences in quartz crystals in computer clocks, which affect the speed at which websites are processed; these variations appear consistently and function as a device's digital identifier. In a test, 300 volunteers made a one-time visit to a site running the tool, which could uniquely fingerprint about 50% of them; this climbed to 80% when the tool was combined with other methods that measure on-screen graphics rendering. Unlike previous trackers designed to measure frequently changing software attributes, the new tool can generate fingerprints that last several months. The tracker was presented at the ACM Conference on Computer and Communications Security (CCS 2018) in Toronto. 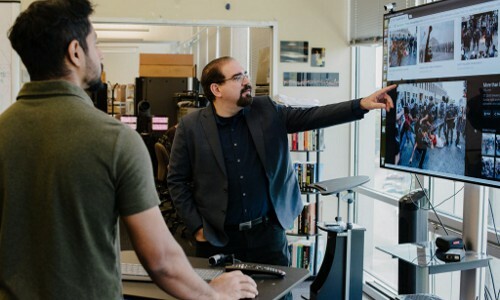 Carnegie Mellon University's CyLab Security and Privacy Institute aims to expand the boundaries of technology and protect people when that technology or its users pose a threat. CyLab conducts research and education in Internet privacy and security, in partnership with both private companies and government agencies. CyLab's mission dovetails with a perceived shortage of people with the expertise to counter increasingly sophisticated cyberattackers; its fields of concentration include biometrics, artificial intelligence (AI), cryptography, and network security. One CyLab innovation applied AI to reconstruct an image of the suspected Boston Marathon bomber from blurry, low-resolution surveillance footage, which was an accurate match for the man ultimately convicted of the crime. Meanwhile, long-distance iris scanning technology from CyLab can identify people up to 40 feet away. CyLab also is exploring software programs or "bots" that manipulate individuals with disinformation, with one project developing AI to automatically fact-check and hunt down bots. Researchers at Aarhus University in Denmark, Ulm University in Germany, and the University of Sussex in the U.K. have developed a versatile remote gaming interface and an optimization algorithm that allowed external experts and citizen scientists to optimize a quantum gas experiment as part of a multiplayer collaboration. By manipulating laser beams and magnetic fields, the task involved cooling as many atoms as possible down to extremely cold temperatures slightly higher than absolute zero. The participants were divided into two teams, both of whom used the interface to dramatically improve upon the previous best solutions established through months of experimental optimization. The researchers analyzed the performance and search strategy of both state-of-the-art computer algorithms and citizen scientists in a real-time optimization of an experimental laboratory setting. The researchers concluded that what makes human problem solving unique is how a collective of individuals balance innovative attempts and refine existing solutions based on their previous performance. 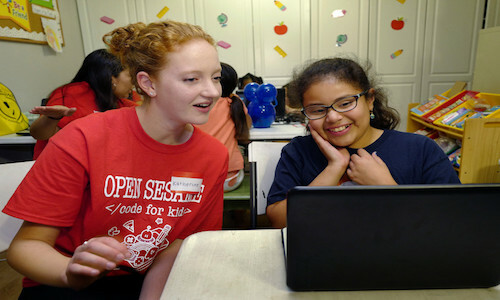 Students are teaching programming to California children in shelters via the Open Sesame Coding for Kids project. The project aims to introduce challenged and impoverished children from kindergarten through eighth grade to the potential of pursuing careers in technology and computer science. Sesame Coding was created by high school students Milan Narula and Katherine McPhie, who won the Dragon Kim Foundation's Dragon Challenge competition this past year. The founders are using the prize money to purchase Chromebooks for participants and expand their reach, and have trained more than 60 college and high school students and planned coding classes for several other groups that serve children. Narula and McPhie are bringing the Sesame Coding workshops to shelters for victims of domestic violence, emergency shelters for youth in foster care, and temporary stops for homeless families. Researchers at Peter the Great St. Petersburg Polytechnic University (SPbPU) in Russia have developed a neural network that allows three-dimensional printers to build structures faster and manufacture new parts. The network establishes parameters by learning from previous data, making a full modeling process for each structure unnecessary. The researchers built the neural network in the MATLAB environment, with the datasets manually fed into the system; the network is being used to assess the quality of parameters of manufactured parts, such as whether the welding process is stable and whether the metal is being melted and transferred correctly. The team also used the network to develop stable printing models for manufacturing mastheads. Said SpbPU's Oleg Panchenko, "The next step is to create an online system based on the neural network with automatic input of data sets and output of parameters, thus such [a] system will be learning continuously." GW4, the MET Office, and Cray have announced that the world's largest non-U.S.-located ARM-based supercomputer is operational in the United Kingdom. "Isambard" is one of the first ARM-based systems to be utilized for scientific research and to probe exascale-era computer architectures; the supercomputer is a Cray XC50 system with Marvell ThunderX2 processors based on the 64-bit ARMv8-A architecture. Isambard is part of the Engineering and Physical Sciences Research Council-funded Tier-2 High-Performance Computing ecosystem in the U.K. The University of Bristol's Simon McIntosh-Smith said Isambard will be the first in a wave "of production supercomputers that will exploit ARM-based processors. These will deliver significant benefits in terms of price/performance and faster product innovation thanks to increased competition in the market." Cray's Steve Scott said the XC50 provides researchers "a full software environment, ARM-optimized compilers, libraries, tools, and the computational performance they need to successfully get the job done." New York University researchers have used a neural network to develop artificial fingerprints that can mimic more than 20% of fingerprints in a biometric system that should only have an error rate of one in 1,000. Fingerprint-based authentication systems typically do not read the entire finger at once, instead imaging whichever section of the finger touches the scanner; this requires comparing the partial scan against the partial records. 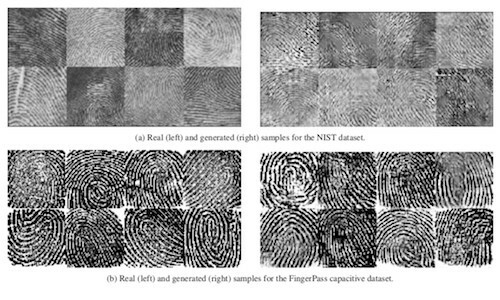 This fact as well as the commonness of certain fingerprint features informed the researchers' use of a generative adversarial network to artificially create new fingerprints that matched as many partial prints as possible. The network allowed them to create multiple fingerprint images and generate convincing fakes. The researchers said the "DeepMasterPrints" method is comparable to a "dictionary attack" against passwords, where a hacker runs a pre-generated list of common passwords against a security system. Artificial intelligence (AI) is increasingly being used to help prospective home buyers narrow their online searches for new homes, and real estate listing services are improving their sites to adapt to buyer demand for instant gratification. For example, Homesnap, which has about 17 million monthly active users, updates its data at least every 15 minutes, through a direct feed from multiple listing services for properties across the country. Machine learning and AI can create more efficient tools for buyers based on their online behavior, and other platforms are developing new experiences to personalize the home-buying process even further. Homes.com is developing a "snap and search" feature that allows users to search for a home based on a photo they have uploaded. Researchers at Japan's National Institute of Information and Communications Technology, Hokkaido University, and Fujikura, along with colleagues at Macquarie University in Australia, have created a system that can top data transmission speeds of 1 petabit (1 quadrillion bits) a second. The new four-core, three-mode fiber includes a coupler from Macquarie, fiber fabricated by Hokkaido University and Fujikura, and a transmission system developed by the National Institute of Information and Communications Technology. The system has the same width as existing standard fiber, but is capable of 12 times the data speed. The fiber also is less prone to damage due to its narrower diameter, and can be used with existing equipment. Said Macquarie's Simon Gross, "For the first time, we have created a realistic and usable-sized fiber which is resilient and can transport huge amounts of data."